It’s a major milestone for the former Regatta Plaza site in Aurora. The city of Aurora, the Aurora Urban Renewal Authority and master developer Mile High Development/Koelbel and Co. announced that Kroger, the corporate parent of King Soopers, approved corporate funding for construction to proceed on a new 79,000-square-foot King Soopers store at the project at Parker Road and Interstate 225. The phased redevelopment project will ramp up this spring with site improvements and infrastructure to accommodate the new King Soopers store while the existing store remains open. Mile High and Koelbel also will develop a 24,000-sf retail building on East Dartmouth Avenue, which will include a new Key Bank and other retailers, commented Erik Husted, vice president at Mile High Development. The existing Key Bank will continue to operate at the site until the new facility opens. Following completion of the King Soopers store in summer/ fall 2019, MHK will demolish the old store to pave the way for the next phase of development of The Point at Nine Mile Station on the south half of the site. A future pedestrian bridge connecting the site to the Nine Mile Station also is planned. The Aurora Urban Renewal Authority selected MHK as the preferred master developer of the site in mid-2015 to work with the authority and the four landowners to assemble the site and complete remediation and demolition, which occurred early last year. In mid-2017, MHK and the city’s planning and zoning commission completed the master plan and from then, MHK has been working with King Soopers and Key Bank to design and plan their new facilities. Regatta Plaza was originally constructed in the early 1980s. 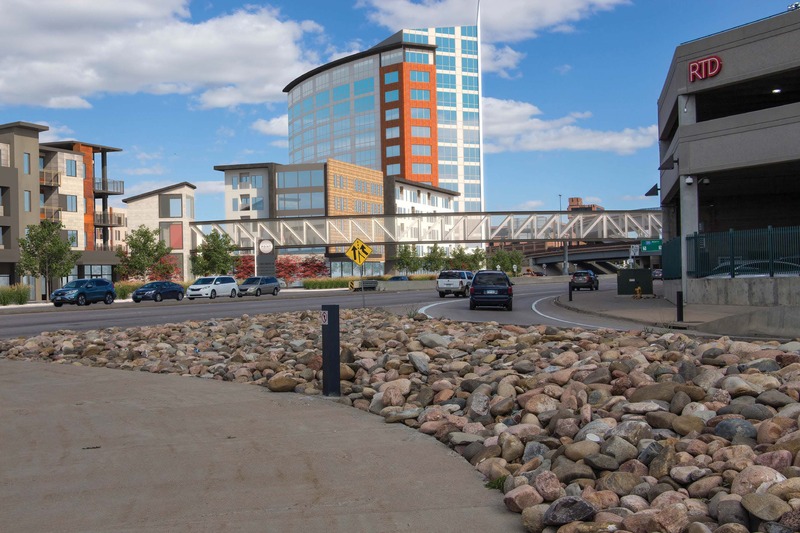 “The community is extremely excited about this redevelopment project, and played a pivotal role in shaping the vision for the project,” said Julie Patterson, senior public information officer with the city of Aurora.